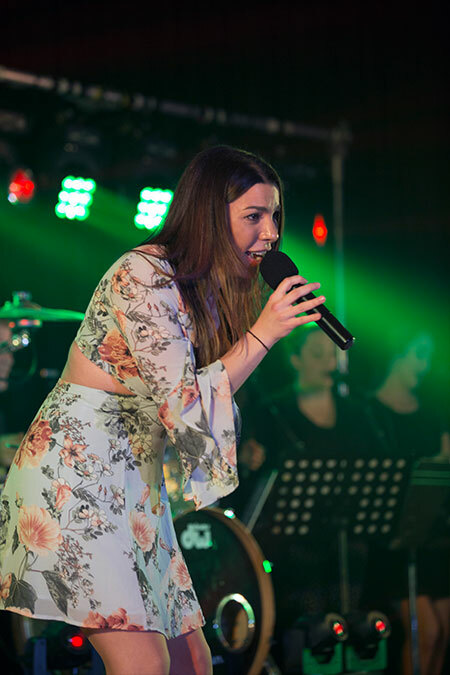 Here at Freedom Music Studios, we believe that with the right training and guidance, all performers have the ability to move their audience and transform their performances from a song to a memorable experience! Our Performance Training offers students a fun, interactive and educational opportunity to further develop as a performer and entertainer. Want to see some of our students performing? Check out our YouTube channel! Performance classes enable students to gain valuable performance experience in front of a small group and receive feedback from one of our trusted performance coaches. Students are given tips on how to turn their songs into honest, meaningful and entertaining experiences for their audience members. They also have the chance to watch, learn from and contribute to other student’s performances. Our fun and interactive performance courses consist of seven consecutive sessions. Each one highlights a different aspect of performance and enables students to progressively workshop each section of their song. Classes run for 1.5 hours each in seven week blocks. Students attend the class each week and progressively work on the construction of their performance until it’s stage ready. These courses are incredibly beneficial, lots of fun and allow students to meet and make friends with other students. If you just need some ideas on how to craft a winning performance, our professional performance coaches can be booked casually for sessions that fit within your schedule. You may also like to share the teachers time and cost of the session by getting a small group together and booking a time. Contact us to learn more about your performance planning.